There is a common deficiency I see with some of my athletes during the chin-up. Even though I know they’re strong, I know that they have the upper arm strength, but some seem to have this problem of getting all the way to the top and chin above bar. A great way to spot this particular problem and being able to pinpoint the issue is by letting the athlete to do a slow negative chin-up, getting on top of the bar by stepping up and coming into to top position, then slowly release into the hang. The particular problem I’m addressing in this article is the athlete releasing (unwillingly) way too soon from top position to approx 35 to 45° elbow flexion, from then the athlete seems to be able to perform the negative rep slowly and controlled. You can spot this side on. This particular deficiency has a lot to do with rear delt strength. 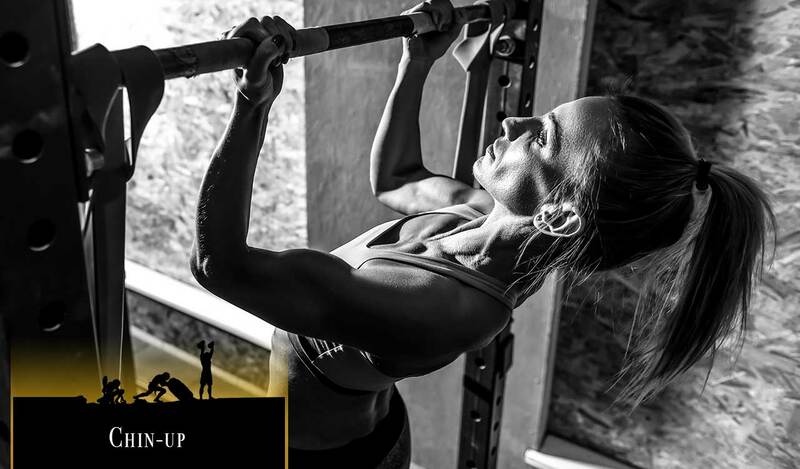 It’s a common misconception that if you have great upper arm strength you can easily do a chin-up, if you’re lacking posterior strength, in particular the rear delts, then you will have trouble with the chin-up, in particular the start from hang or last quarter of the chin-up. I don’t have a video of the particular problem discussed, I do have a video of a proper chin-up which included in one of my beach workouts. A great way to train this deficiency is with bent-over rows, in particular a bent-over row with no space between your elbow and ribs, shaving your ribs upon each rep. The following video shows plenty of variation, but focus on the one that’s narrow (0°). You can of course chose to replace the kettlebell with dumbbell but I don’t recommend barbell for this particular angle of hitting the rear delt. Another great way to work the deficiency is of course with the actual chin-up exercise itself, especially negative reps and using resistance band if needed.